As a math and science educator I subscribe to a number of professional periodicals. One of my favorites is THE PHYSICS TEACHER. I was excited to find the following problem in the September 2012 issue. Two turtles, A and B are relaxing at the water’s edge a distance d apart. Then A begins to swim away from the shore. B gives chase, taking off at the same moment. During the chase A keeps swimming directly away from the shore while B keeps swimming directly towards A. The speeds of both turtles are the same. Find the distance between A and B after a long time interval. As soon as I read this "challenge" problem I quickly decided not to pursue a purely mathematical solution but, instead, model the problem in Scratch. I couldn't resist the fun of making two sprites in the form of turtles and then animating both turtles according to the conditions stated in the problem! Here is a diagram of the starting position for both turtles. The chase is futile because turtle B will never catch turtle A. Why? Both turtles travel with the same velocity, they are not traveling towards each other, and they start the chase with a separation distance d. Still, the geometry of the situation guarantees that turtle B will get closer to turtle A. What's the closest turtle B gets to turtle A? In other words, what is d after a long time interval? I wrote the Scratch scripts, varied the starting distance d, looked at the separation distance when both turtles were traveling in the same direction, and formed a conjecture. Doing the math to prove my conjecture seems pointless to me because I so strongly believe my conjecture to be true! 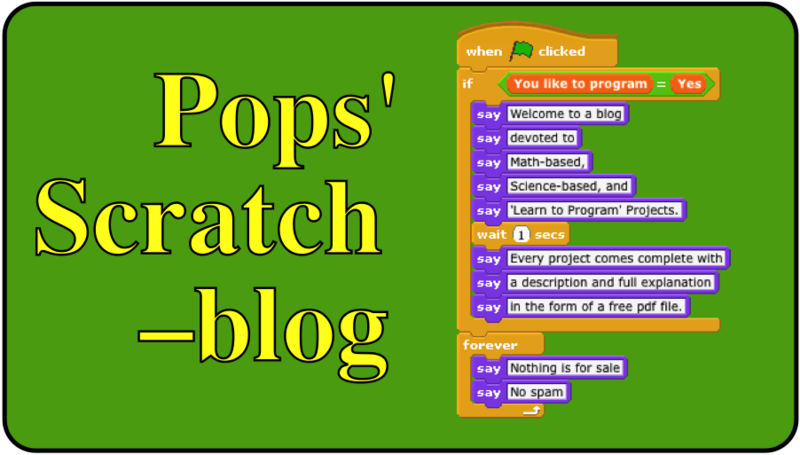 If you would like to form your own conjecture, here's the link to my Scratch program you can download and play with. This is a short video of the program in action.